Say Hello to the Digital Business!, is it a Case of Going Back to the Future? At the beginning of each year I tend to spend a lot of time reviewing key technology trends identified by various IT press and industry analysts. These are the technology trends that will impact consumers and businesses for the next twelve months. One of the key trends at the moment is the ‘digital business’ and I don’t know about you but I feel a bit of Deja Vu occurring here, let me explain why. I have been fortunate to have been around long enough to have seen a lot of technology related trends come and go over the years. My first recollection of the term ‘digital’ was actually in the mid-seventies when my grandfather paid what seemed a small fortune for a Sinclair Oxford digital calculator. He wanted a way to simplify the book keeping of his business. In fact the word digital seemed to spread like wildfire in the late 1970’s and early 1980’s. My own digital journey really began to gain momentum when I was at secondary school where the peer pressure from fellow pupils to buy new digital gadgets was immense. For example trading in my Timex watch for a cool looking digital watch with the obligatory red LED display or getting rid of trigonometry conversion tables and getting my first scientific digital calculator, or trading in my record player for my first compact disc player (and the many battling digital formats that came with it at the time). 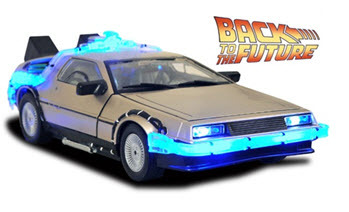 It was also around the mid-eighties that I saw a stainless steel bodied DeLorean car making its film debut, a very modern car that at the time represented a very modern era to be growing up in. It was during my latter years at secondary school that a new piece of technology was introduced, the computer. I joined the computer club at school, we wheeled out a Research Machines 380Z computer, (our only computer in the entire school! ), on a trolley every week to test our computer programs that we had spent the previous week writing down on a piece of paper. 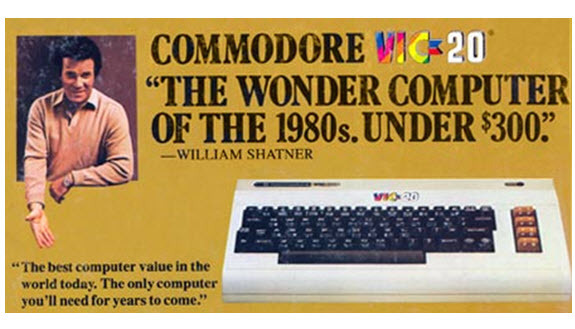 I got my first home computer in 1983, a Commodore Vic-20, and I remember spending hours entering code from computer games magazines to save the £5 or so that it would have cost to buy the games on tape!. Anyway it was this two year flirtation with the Vic-20 that set me on the path for a ‘digital career’. I went off to University and studied Computer Aided Engineering, yes the digital term was being consigned to the bin and everyone had decided that ‘computers’ were the way forward. In the early 1980s it was almost as if companies were rolling out ‘computer aided’ strategies, Computer Aided Design to develop products, Computer Aided Process Planning and then Computer Aided Manufacturing to manufacture the products from the 3D representation of the product that had been created. I spent many years honing my technical drawing skills on paper, buying my own Rotring drawing board only for that to be consigned to the dustbin as Computer Aided Design packages started to become more popular. In fact for many manufacturing companies, it was the design office that emerged as the department with the most computers, often expensive computers, to automate the design process and hence get products out of the door more quickly. I then went on to join the leading CAD vendor at the time, Computervision. Since then I have remained working for various technology vendors, and so it seems strange that we seem to be entering a new digital period where companies are just starting to realise the benefits of going digital. But hang on a second, many of today’s CIOs are from my generation, they have grown up with digital technology in their personal lives and yet for some reason translating their digital personal life into a digital business life seems to be taking quite a while. This is mainly due to the fact that most companies have complex business processes to adhere to and government mandates ensure that paper based documents must be retained for regulatory compliance purposes and hence it is taking time to digitise every single business process. During my career at GXS, and now OpenText, I have been amazed at how many companies still have manual paper based processes in place, whether it is raising shipping documentation or sending invoices that need a whole army of people in the loop before a supplier can be paid. But wait, what’s this pulling into the IT strategy station, yes it is the Digital Express train, it’s time for every CIO to get on board or head back to the IT dark ages. Yes, the term that represented the 1980s is back, and it is meaner and tougher than ever, digital. Needless to say that digital in the 1980s was focused around the consumer. Today however, (with help from other technological marvels such as the internet, mobile devices, the cloud, social networks and the very latest set of buzz words, the Internet of Things), it is about the ‘digital business’. So yes the time is right for the digital business, a place where information, irrespective of its source, can be digitised, archived, accessed, viewed, any time, any place and anywhere. From digital mock-ups, digital manufacturing through to digital procurement, digital is now going main stream, but this time it is business versus consumer driven. In a time where companies are exploring new markets, having a scalable and flexible IT infrastructure to allow a digital business to spread seamlessly around the world is a standard requirement, not an option. Over the coming months I will be posting more blogs around every aspect of the digital manufacturing business, from digital design to the digital shop floor, from digital testing and compliance through to digital service and support, the time is right for every company to develop their own digital business strategy to put them on the path for growth and success. So here we are, going digital again, seems strange that back in the late 1970s my grandfather had the vision to automate his book keeping via a digital calculator and here we are forty years later and we are talking about the introduction of the digital business, however this time it is here for good as I will reveal in future blog entries. So what was your very first memory of going digital? either in your personal or business life? ← Is it time for Apple to Enter the Automotive Industry?